2011 Toronto International Adhesive Arts Expo design contest now open to public. We're looking for some promo sticker ideas and everyone's super busy so we're putting it out there for anyone to try their hand at it. 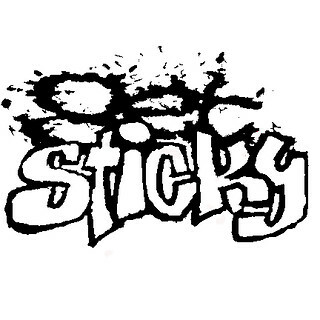 I'm personally stuck on the name 'Get Sticky,' but you're welcome to suggest anything. Design should be original, 2 colour, and suitable for printing on stickers, and suggest something to do with stickers, wheatpaste and maybe the city of Toronto. Prize - you'll get a fat pack of various stickers and some of the promo stickers for yourself. Judges - the core planning group - a bunch of boarding enthusiasts, teachers, artists and such.